This Sunday, Coventry City and Oxford United will meet in the final of The Checkatrade Trophy in front of over 70,000 fans at Wembley, but today the head of the English Football League has admitted the competition may be scrapped. 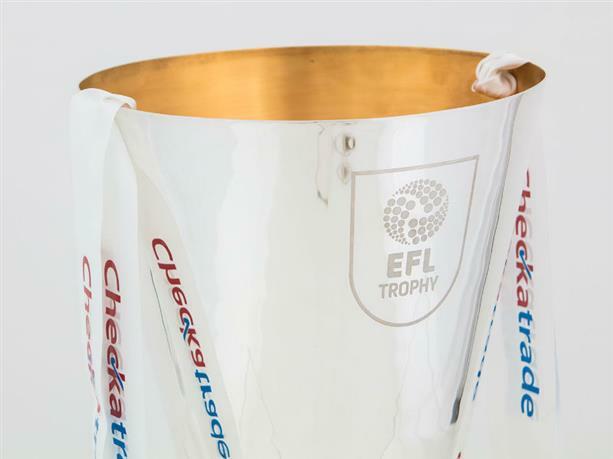 This season saw the Football League Trophy transition into the Checkatrade Trophy, with the introduction of sixteen Academy A Level sides, a move which Shaun Harvey, Chief Executive of the English Football League, admits was rushed. Changes to the competition’s rules were also introduced as the EFL looked at whether Club’s were flouting the rules in terms of team selection. This season’s competition has seen attendances drop dramatically, with the lowest attendance recorded across the competition just 284 for West Bromwich Albion U23’s versus Gillingham in November 2016. Shaun Harvey admits its future is uncertain. “We’ve always committed to review the competition and its objectives with our 48 League One and League Two clubs. We said we would do this after the one-year pilot and it will take place in April. Harvey suggested that the reforms had achieved one goal, with more academy stars going on to make first team appearances for sides in the English leagues, but another revised competition was the most likely outcome of the April meeting. “When you look at the squads and the players who have been exposed to this competition now, they are predominantly from under-21 sides. Harvey was speaking at the launch of EFL Futures, another new initiative to help develop young, homegrown talent. A prize fund of £2.25m is to be distributed across Football League clubs over the next three seasons according to the number of appearances made by English players under the age of 21 (for Newport County and Cardiff, the players must be Welsh). Following the admissions in December, the interview has again been aired on Sky Sports News today, in the build up to Sunday’s final. A limited number of tickets are still available for Coventry City fans, on sale until Friday.